Sugar comes in many forms and from several sources. Granulated sugar (sucrose) originates primarily from sugar cane or sugar beets. Other sources of sugar include maple trees, sorghum and date palms. Sugar, whether granulated, powdered or brown, is almost pure carbohydrate. One cup of granulated white sugar has 774 calories. 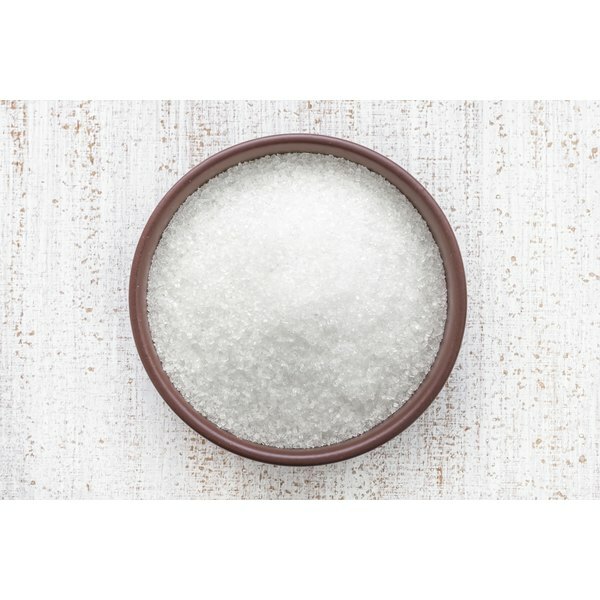 Granulated sugar is also known as white sugar, refined sugar and table sugar. Granulated sugar is white because all the molasses content of sugar cane is removed during processing. A packed cup of brown sugar contains 836 calories. Brown sugar is often used to keep baked goods such as chocolate chip cookies and molasses bread moist. Brown sugar is brown and soft because some of the sugar cane’s molasses content is left in during processing. A cup of sifted confectioner’s sugar contains 390 calories, while an unsifted cup contains 468 calories. Also known as powdered sugar or icing sugar, confectioner’s sugar is used by bakers in frostings for cakes and cookies. This sugar is ground from granulated sugar to a fine powder.